Ever wondered how different a night’s partying would have turned out if you had just eaten something beforehand or perhaps just drank some water along with all the alcohol? Well thanks to the Red Frogs the wondering can become a lived reality. 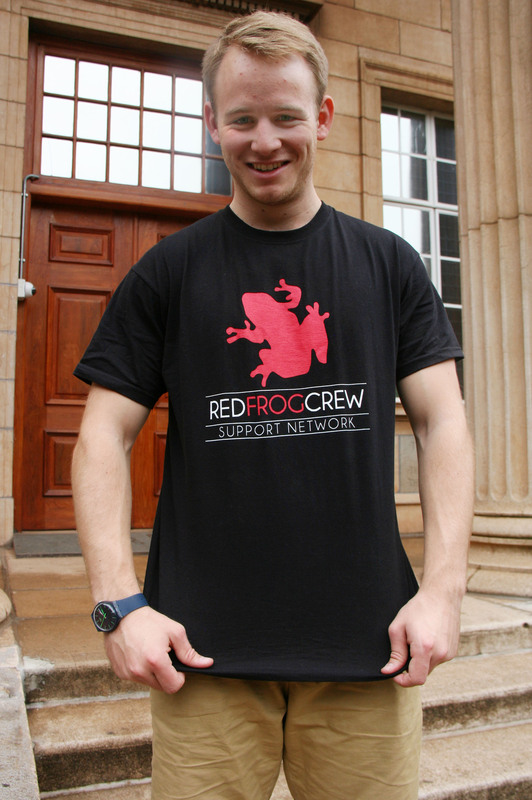 Red Frogs South Africa is an organisation that provides a support network to young revellers at music festivals, Matric Rage and now at Wits Orientation Week. History honours student and Red Frogs Gauteng coordinator, Mick Channon said they essentially provide a party support network at the events they attend. Channon said they provide a “positive presence” at events by making pancakes, handing out water and providing a chill out area which is a bit more relaxed than the rest of the party. “We want to get guys to eat while they drink and also keep guys hydrated,” added Channon. Unfortunately they can’t make any of their pancakes at Wits O Week because there will be other vendors on site but they do have over 2000 bottles of water and will be providing chill out zones at parties. These zones will have couches and games to keep party goers busy. “Look we’re not running around smacking drinks out of people’s hands or anything,” joked Channon and went on to emphasise that they want to provide a positive presence in a social space. Channon said he wasn’t particularly concerned about the overall safety of students because Wits does a great job at that already and students generally know how to handle themselves. “It’s not like Rage or Oppi where we literally save lives because people get alcohol poisoning and stuff,” explained Channon. Wits O Week will be the Red Frogs’ first varsity experience in Gauteng. All one needs to do is look out for one of the 30 Red Frogs volunteers in a black and red t-shirt and they will assist where possible.